The What: Barix now offers a subscription model for its SoundScape business music and advertising solution. The starter package, which includes licenses for the first 50 audio players, eliminates annual contracts in favor of monthly credit card payments. 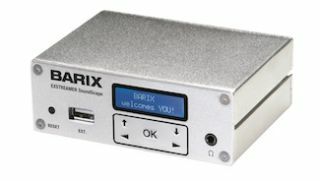 The WhatElse: Based on Barix’s WAN-based Audio over IP approach, the package is aimed at systems integrators seeking a multi-site audio distribution and management system. TheBottomLine: SoundScape is a software-as-a-service (SaaS) that brings together cloud-based content management, end point playout, and global monitoring capabilities in a highly programmable, user-friendly package. Features include dynamic content scheduling, remote device management, system-wide reporting and monitoring, hierarchical user permissions, and options for live and scheduled streaming. Barix will demonstrate SoundScape and its latest features at ISE 2016, taking place February 9-12 at the RAI Exhibition Center in Amsterdam.